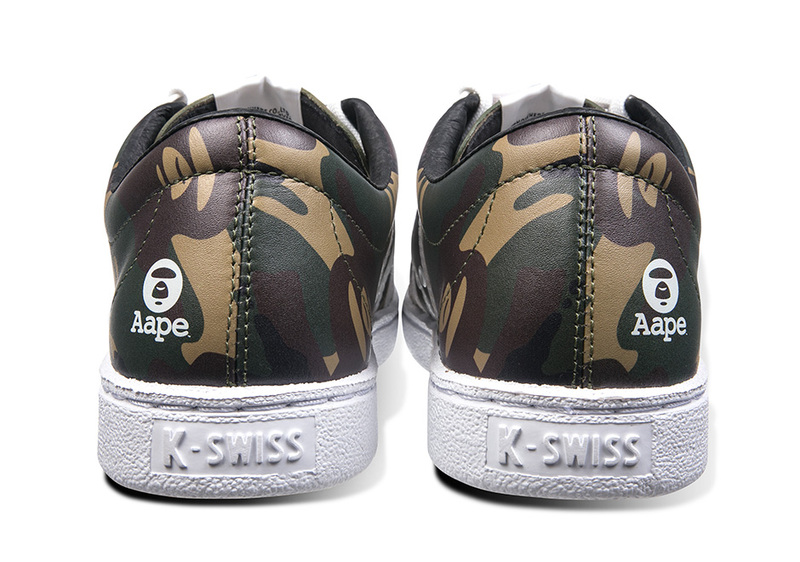 K-Swiss has been celebrating its 50th Anniversary throughout 2016 with a number of high-profile collaborations, and now their teaming up with AAPE by A Bathing Ape promises to be the best collaborative effort yet. 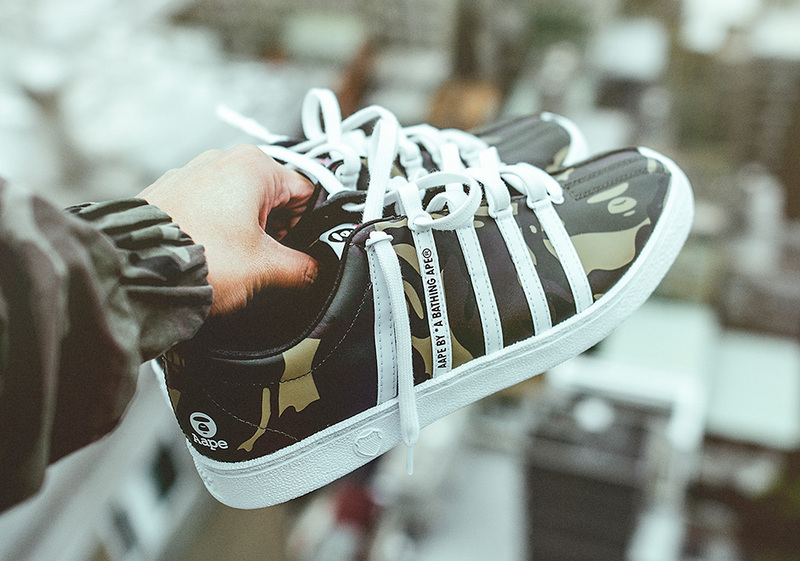 The K-Swiss Classic 66 “AAPE” is slated to release on December 15th, 2016 at a number of premium sneaker boutiques throughout the United States featuring that signature camouflage pattern for a simple, refined look that takes the tennis classic into a new streetwear sensible territory. 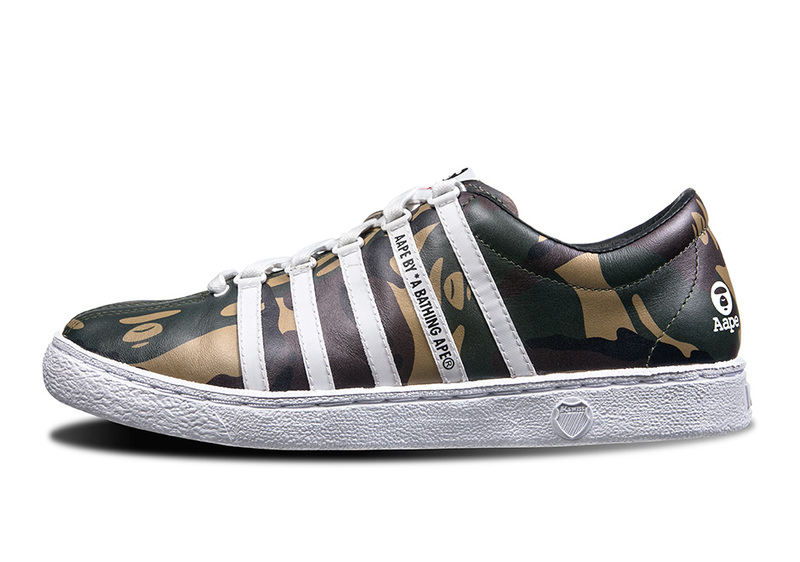 The K-Swiss Classic was one of the first leather tennis shoes to ever be worn in a major tournament and this year’s retro has been brought back with the exact specifications of the original model. 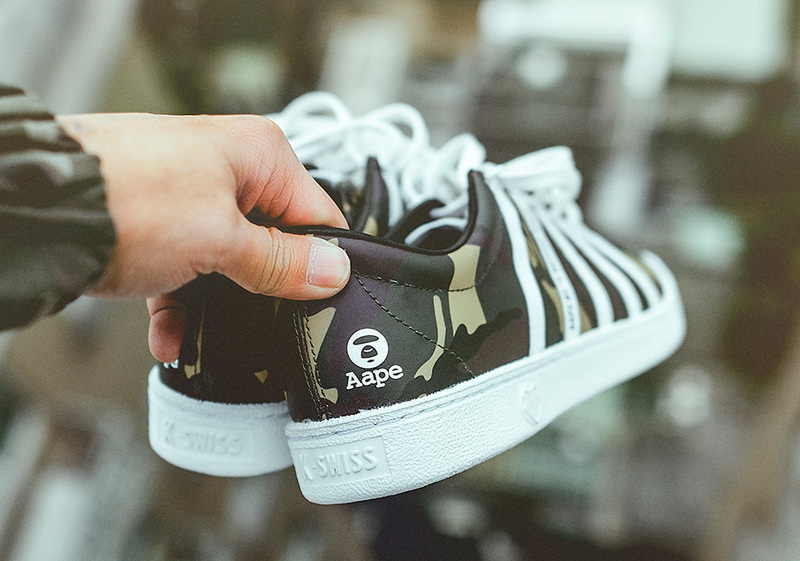 The AAPE x K-Swiss Classic 66 features five white leather side panel stripes with ‘AAPE by A Bathing APE’ trademarked on the side. 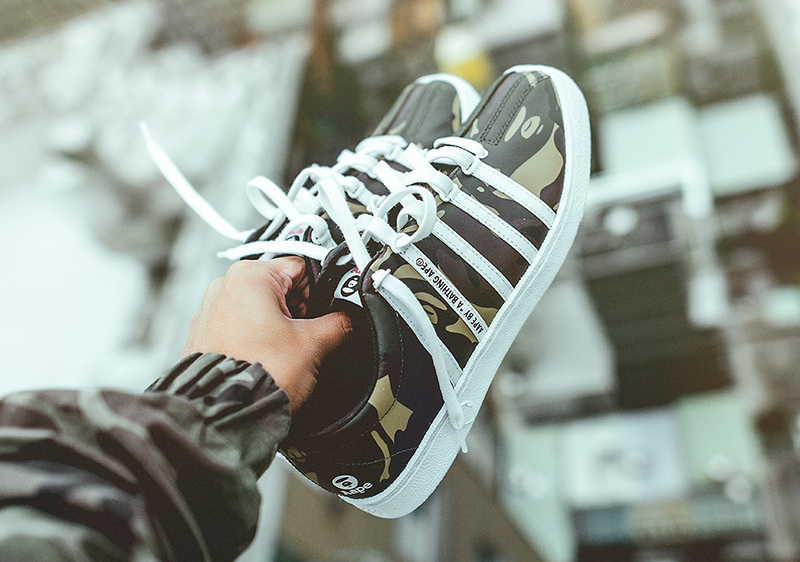 A traditional BAPE woodland camouflage brings the classic Japanese retailer’s aesthetic to K-Swiss while ‘AAPE’ tongue branding and a heel logo contrast in a simple white shade. 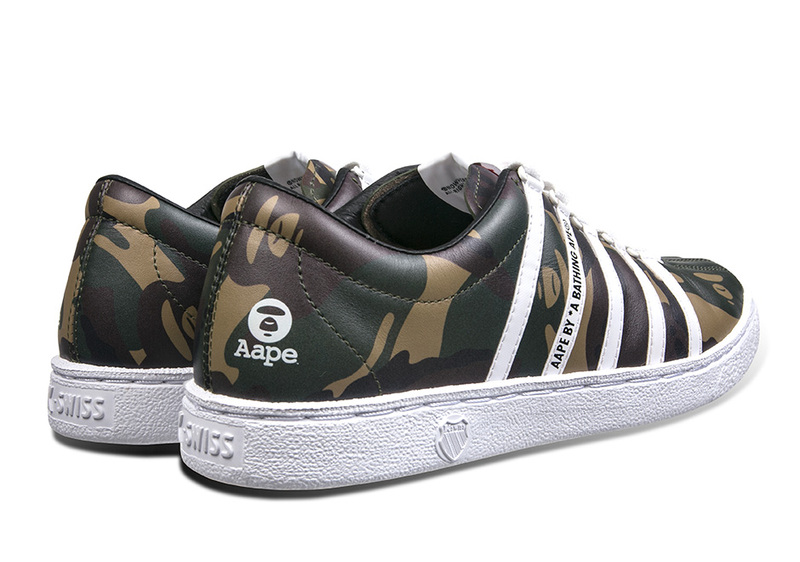 The K-Swiss x AAPE Collection will be available for $140 USD on December 15th from select retailers like atmos NYC, West NYC, Urban Outfitters locations throughout New York City, Wish Atlanta, DTLR in Baltimore, and Villa Philadelphia. 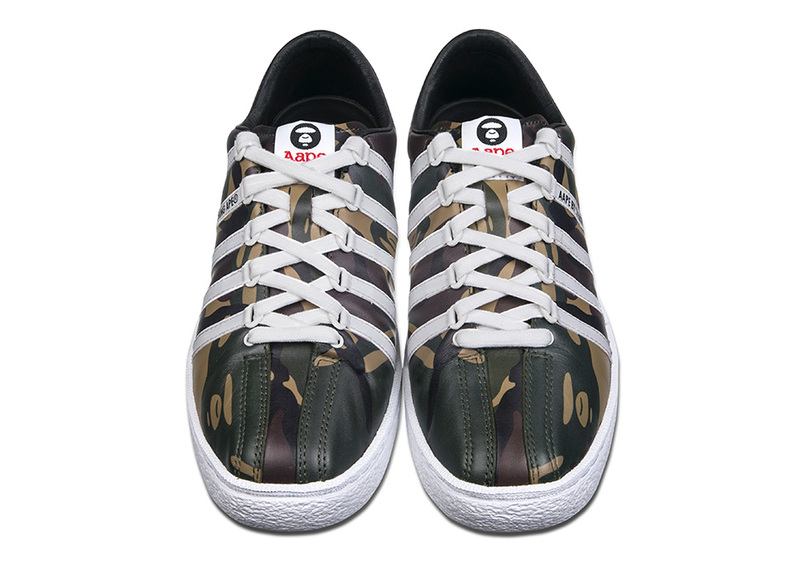 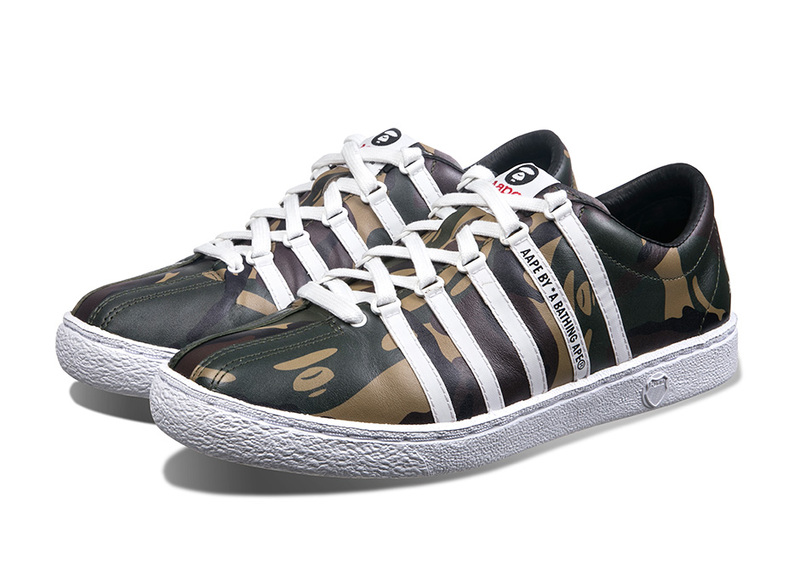 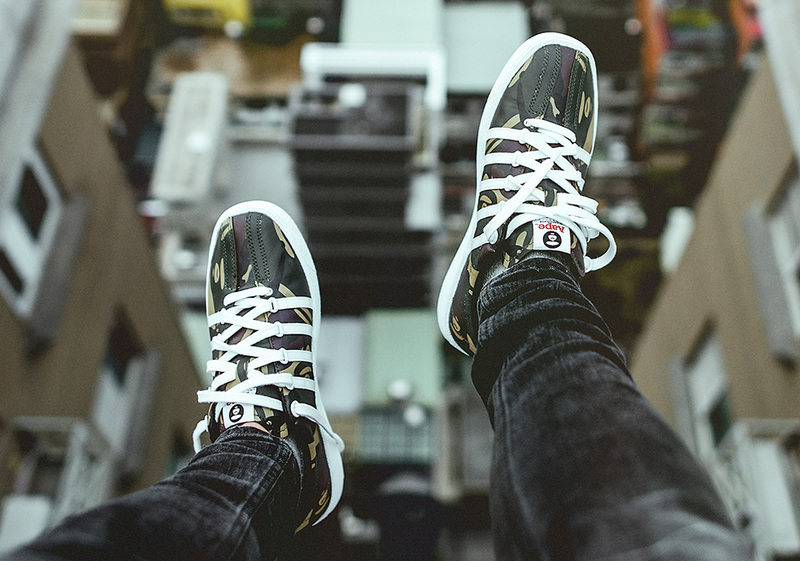 The AAPE x K-Swiss Classic 66 will also be available in the U.K. at END Clothing.